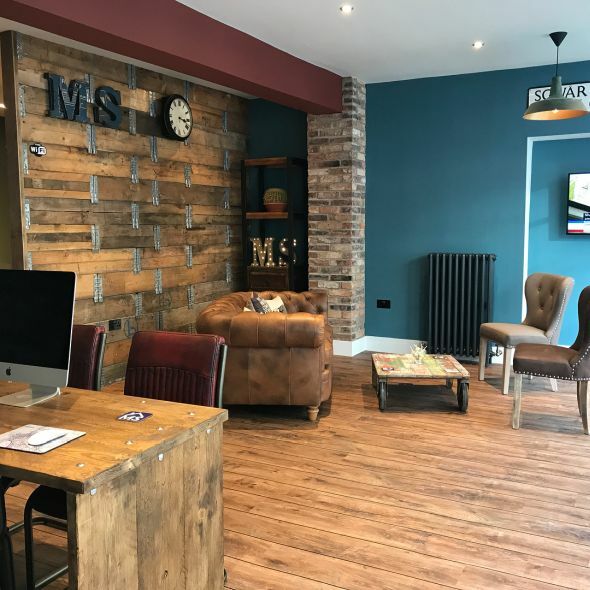 Offices do not have to be stuffy and lifeless, as Martin Samuel, owner of MS Properties, proves here. 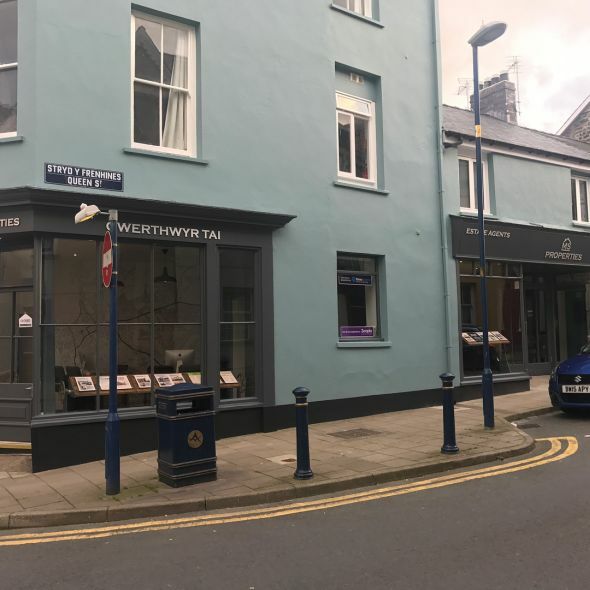 His estate agency office in Aberystwyth is certainly anything but dull! 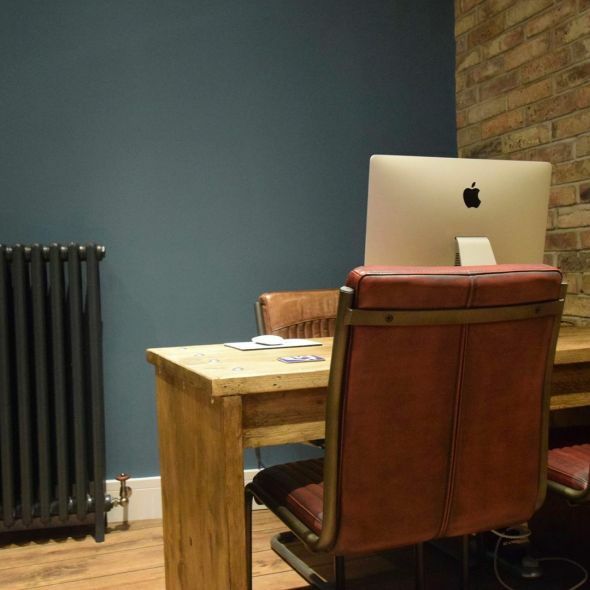 Martin mixes vintage and industrial inspired furniture with bold colours and modern styling to create a professional yet welcoming environment. 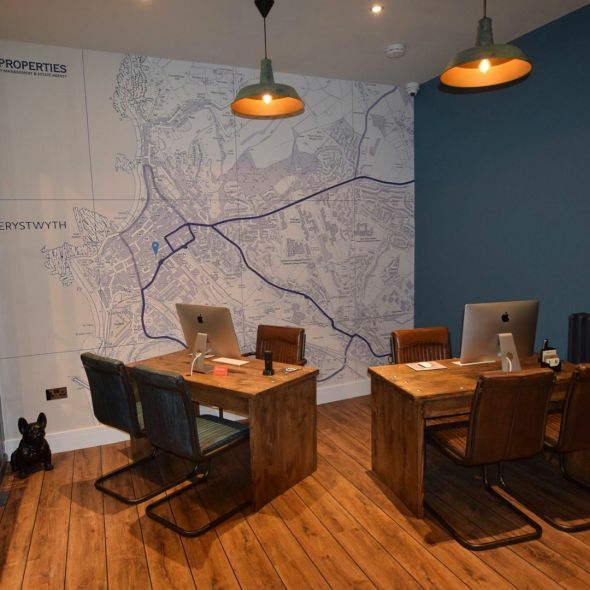 Our ‘Goodwood‘ and ‘Newbury‘ chairs work well with the wooden desks, and the map of Aberystwyth creates a very fitting feature wall! 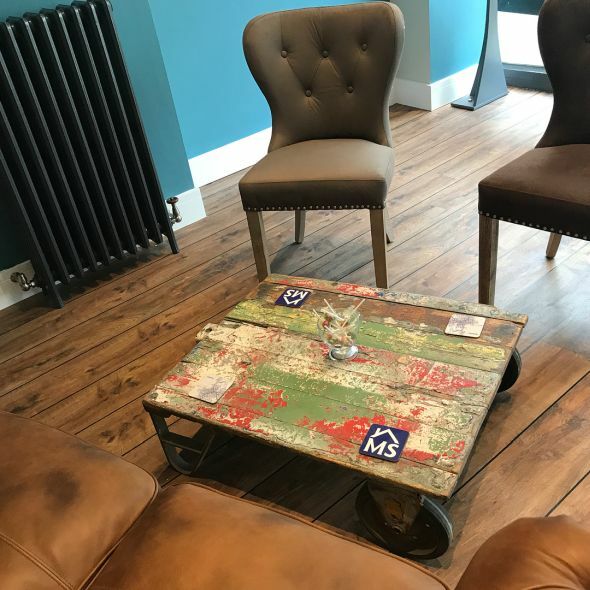 The office provides ideal places for clients to sit and discuss properties; the tractor wheel upcycled coffee table is matched with low machinist style stools and the industrial trolley coffee table is paired with ‘Belfort‘ chairs. 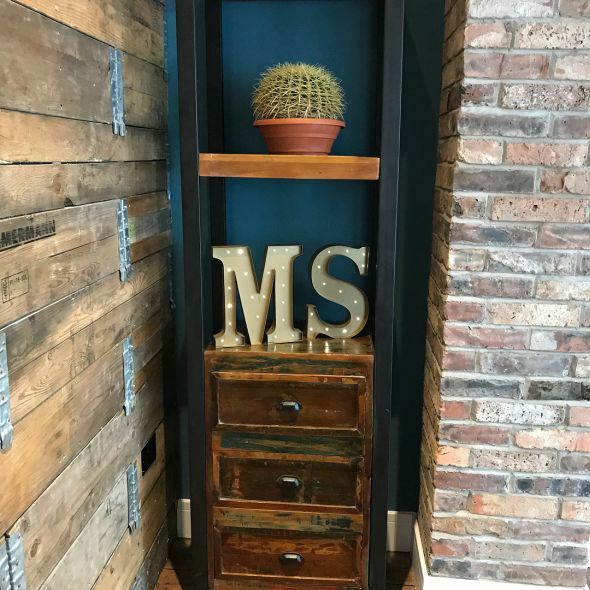 Exposed brickwork and walls that are decorated with repurposed wooden planks help to achieve the contemporary industrial look. 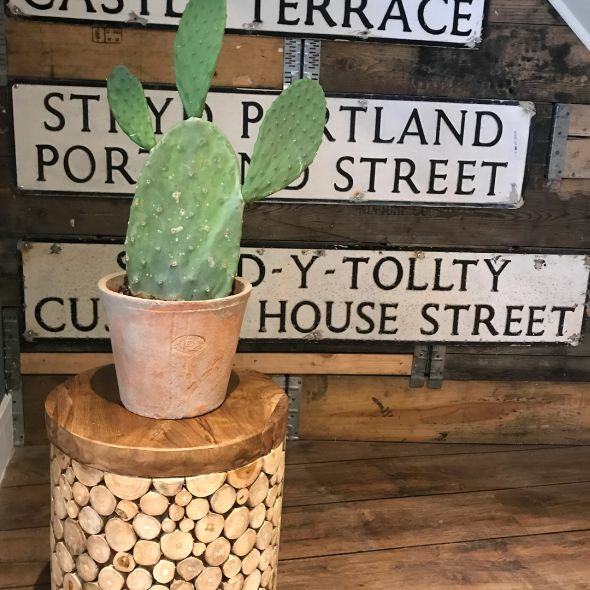 Martin has added finishing touches such as the wall mounted street signs, potted cacti and company initials. There is an abundance of natural wood in the office. This, in addition to the warm glow from industrial style ‘Butler’ lights, creates a very comfortable and welcoming space. See more pictures of MS Properties below. 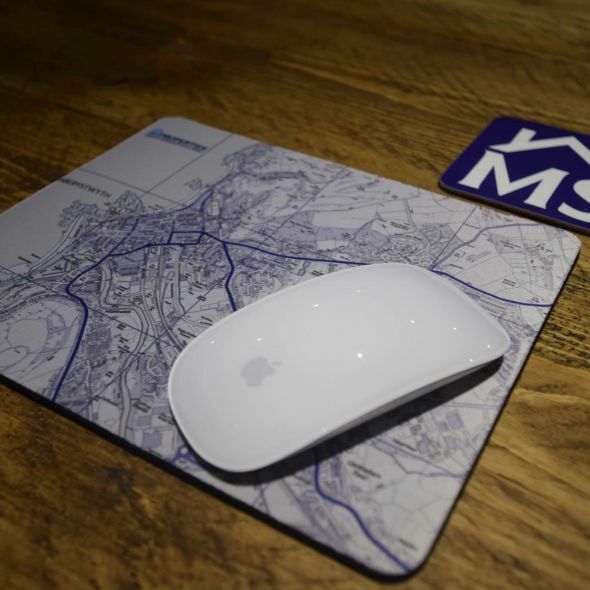 Let us know if you love this office decor as much as we do! 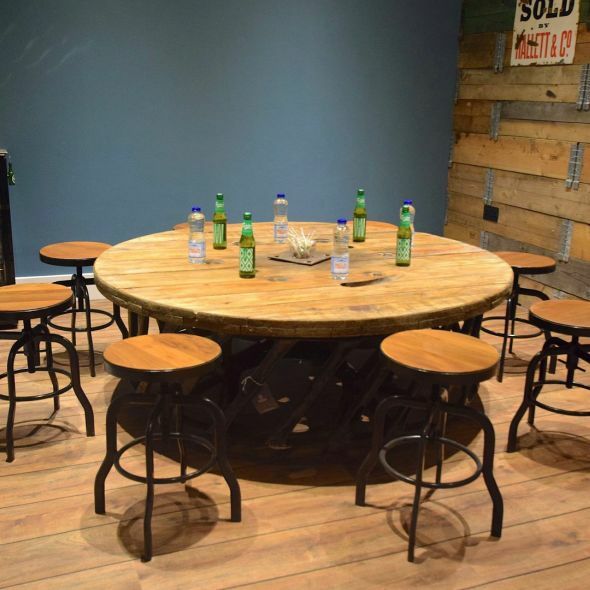 We would love to see our furniture in your home or business! 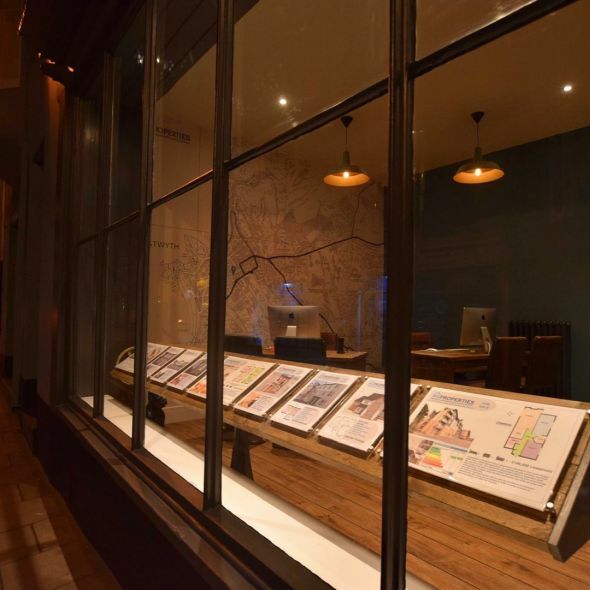 Send your photos to annamae@peppermillinteriors.com so we can feature them in our blog*.